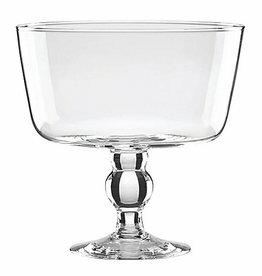 Berry & Thread Collection - With the subtly ruffled elegance of an unfurled rose, the wide basin of this large bowl makes everything it contains look lovely, from summer salads to pixie tangerines. 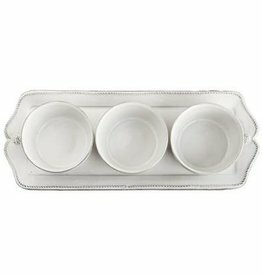 This extra-large bowl, a grand addition to our beloved Simon Pearce Cavendish line, is an ample piece of serveware for entertaining and a fantastic display piece all on its own. 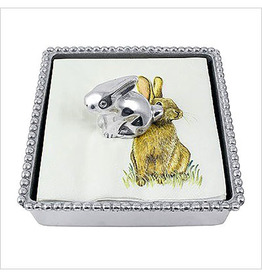 Amazingly versitile, this piece is a must-have to show off your salads, desserts, and floral. 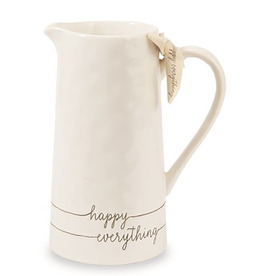 Great value and perfect for a wedding or shower gift. 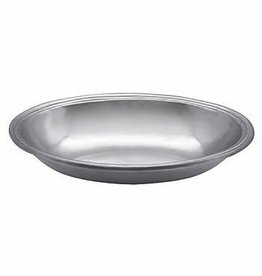 Handcrafted and softly polished, our Classic Oval Serving Bowl complements food beautifully and suits casual as well as formal dining. 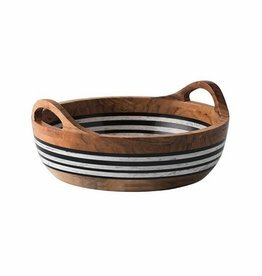 Sustainably harvested wood meets eco-elegance in our traditional Classic Cheese and Cracker Server. 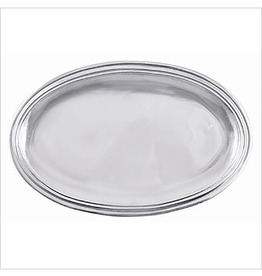 Server is handcrafted from 100% recycled with softly polished aluminum. 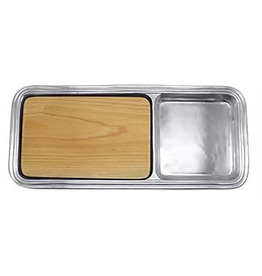 Easily remove maple insert for cleaning and care. 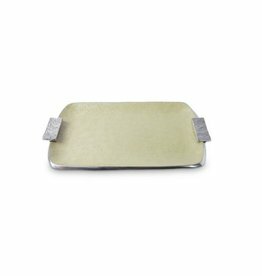 Accent floral dishes from our Gregarious Garden collection with the Leaf Platter in green enamel. 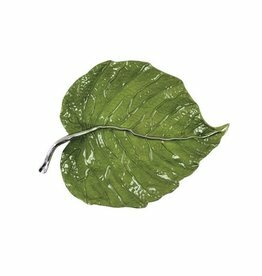 Intricate details of the sculpted leaf form shine through in this unique serving piece designed by sculptor Michael Updike. 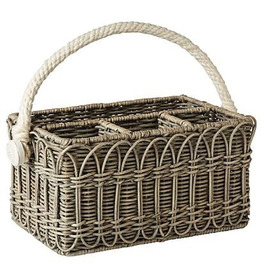 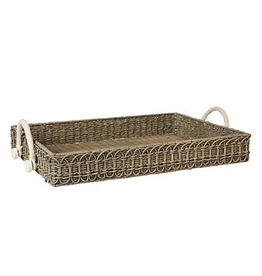 Rectangular Wicker Tray From Waveney Collection. 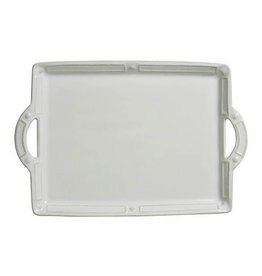 Warm weather calls for relaxated entertaining and simple delicacies served alfreso from our neutral grey wash tray. 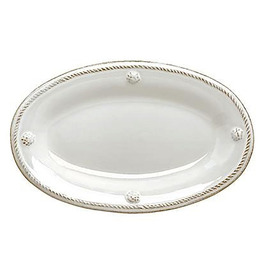 From our Berry and Thread Collection- less is more with this small platter that is accented with a threaded border and four symmetrical berries. 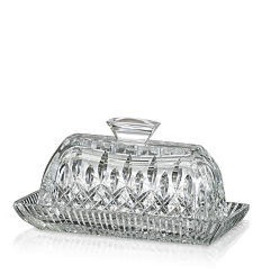 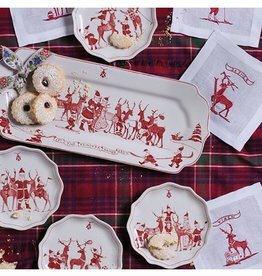 Perfectly sized to serve edible accoutrements and side dishes.